Nai Yang Beach is simply charming! Far removed from the major tourist spots in Phuket, a place where you go to simply unwind, relax and enjoy the atmosphere of this charming beach-side village. 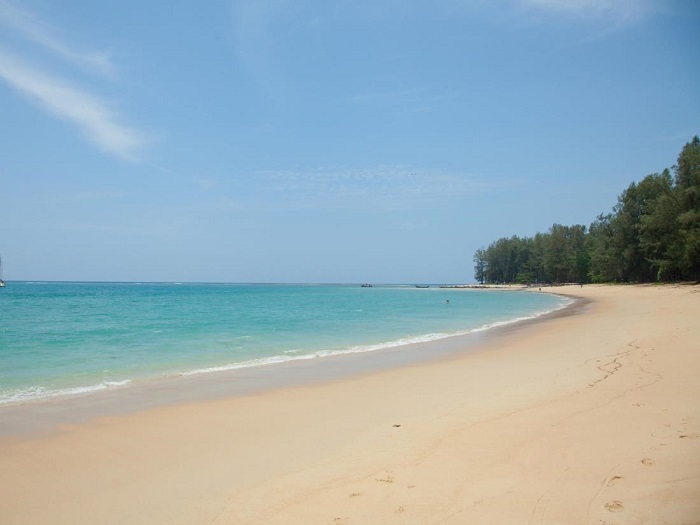 This quiet, secluded beach is located at the southern end of Mai Khao Beach on the north west coast of Phuket and only a 5 minute drive from Phuket International airport. Like many of the northern beaches in Phuket, Nai Yang is a top spot to stay if your looking to get away from it all. The northern end of the beach lies within Sirinat National Park, which of a weekend is a very popular spot for locals, who come to enjoy the sea, sun and sand. Apart from swimming, snorkeling, and relaxing on the beach, other activities available at Nai Yang include wind surfing and kite surfing. The northern part of the beach is a great spot for snorkeling as the waters are more protected due to the large reef that lies offshore. 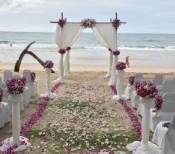 As with most beaches in Phuket you can hire sun beds and umbrellas along the beach. Nai Yang has a good mix of upmarket luxury 5 star resorts and hotels and a range of affordable and cheaper accommodation that is ideal for the budget traveller. 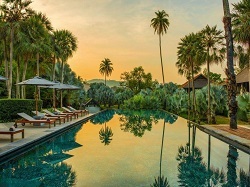 The Slate is an ideal retreat for travellers looking for a tranquil getaway in Phuket. 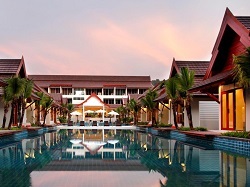 Dewa Phuket is fantastic, located at the northern end of Nai Yang Beach. The above hotels and resorts are just a few that are available most of which are located close to the beach. 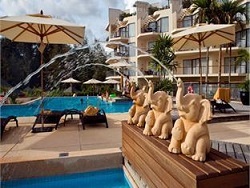 To learn more about these hotels and resorts or to view the full range of places to stay near to Nai Yang Beach use the search box below. Nai Yang has many beach-side cafes, beach bars and restaurants; which are excellent, the food is great and the prices are reasonable. You won’t find much nightlife around the village of Nai Yang; so if you are looking to party you may be best to just spend a few hours exploring Nai Yang and stay closer to the nightlife in Patong. Nai Yang is only 5 minutes south from Phuket International Airport, take route 4031, and then turn right into one of the access roads. 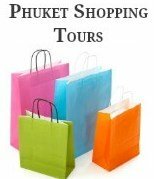 From Phuket Town, follow the Thep Krasattri Road through Thalang District and turn left at the second set of traffic lights going towards the airport. When you reach the end of the road turn left and then the first right. At the end of the road you can go to the right into the National Park or left towards the village, hotels and resorts.